Draft: 2012, New York Mets, 8th rd. Tomas E. Nido graduated from Orangewood Christian (FL) High School...Played four years of baseball, two years of basketball and two years of volleyball while at Orangewood Christian...Was originally committed to Florida State before signing with the Mets. Appeared in 34 games, including 24 starts, behind the plate in three stints with the Mets...Belted his first-career home run, September 13, in the second game of a doubleheader vs. Miami (off Jeff Brigham)...Lined a three-run double on September 8 vs. Philadelphia...His three RBI in that game were a career-high...Reached base in five-consecutive games between September 1-13...Tallied five RBI during that stretch...Served as the backstop for 11 of Noah Syndergaard's 25 starts...Syndergaard posted a 1.97 ERA (16 earned runs/73.0 innings) in those games...Batted .272 (63-232) with 20 doubles, a triple, five homers and 31 RBI in 64 games between Binghamton (AA) and Las Vegas (AAA)...From June 27-August 21 with Binghamton, batted .316 (43-136) with 12 doubles, a triple, five home runs and 21 RBI. Was recalled from Binghamton (AA) of the Eastern League on September 12...Made his major league debut as a pinch-hitter on September 13 at the Cubs...Registered his first major league hit and RBI on September 14 at the Cubs as a pinch-hitter...Behind the plate at Binghamton, Nido threw out 45.1% of potential basestealers (23-51)...Was an Eastern League mid-season All-Star and started the E.L. All-Star Game...Participated in the SiriusXM Futures Game during MLB's All-Star Week...Went 2-2 with two RBI as a catcher for the World squad...Played 13 games for Scottsdale in the Arizona Fall League...Drove in seven runs in 13 games with the Scorpions...Finished second in the Arizona Fall League's Hitting Challenge competition to Minnesota's Chris Paul. Won the Florida State League batting title after hitting .313 (110-352) in 90 games for St. Lucie... Note Nido actually hit .320 (110-344) but his average was recalculated at the end of the season to qualify him for the batting title by adding eight extra at-bats...Won the Sterling Award for St. Lucie, emblematic of the most valuable player on his team...Named a mid-season and post-season Florida State League All-Star...Was also tabbed a High Class-A All-Star by Baseball America...Hit .361 (26-72) vs lefthanded pitching and .309 (84-272) with 16 doubles, two triples and all seven of his home runs vs. righthanded pitching...Batted .299 (29-97) with runners in scoring position...Had a pair of seven game hitting streaks during the season (May 5-15 and July 22-August 1)...Played in both of St. Lucie's playoff games vs. Bradenton...Went 2-8 with one RBI. Named to the mid-season South Atlantic League All-Star team. 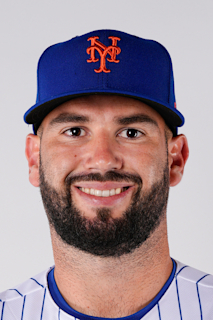 April 7, 2019 New York Mets optioned C Tomas Nido to Syracuse Mets. December 5, 2018 C Tomas Nido assigned to Indios de Mayaguez. August 24, 2018 New York Mets recalled C Tomas Nido from Binghamton Rumble Ponies. May 30, 2018 C Tomas Nido assigned to Binghamton Rumble Ponies from Las Vegas 51s. May 28, 2018 New York Mets optioned C Tomas Nido to Las Vegas 51s. May 19, 2018 New York Mets recalled Tomas Nido from Las Vegas 51s. May 9, 2018 New York Mets optioned C Tomas Nido to Las Vegas 51s. April 11, 2018 New York Mets recalled Tomas Nido from Binghamton Rumble Ponies. March 23, 2018 New York Mets optioned C Tomas Nido to Binghamton Rumble Ponies. September 12, 2017 New York Mets recalled Tomas Nido from Binghamton Rumble Ponies. April 4, 2017 C Tomas Nido assigned to Binghamton Rumble Ponies from St. Lucie Mets. March 17, 2017 New York Mets optioned C Tomas Nido to St. Lucie Mets. November 18, 2016 New York Mets selected the contract of Tomas Nido from St. Lucie Mets. March 6, 2016 C Tomas Nido assigned to New York Mets. April 3, 2015 Tomas Nido assigned to Savannah Sand Gnats from Brooklyn Cyclones. June 16, 2013 C Tomas Nido assigned to Brooklyn Cyclones from Kingsport Mets. November 1, 2012 C Tomas Nido assigned to Leones de Ponce. November 1, 2012 Tomas Nido roster status changed by Leones de Ponce. June 18, 2012 Tomas Nido assigned to Kingsport Mets. June 17, 2012 New York Mets signed C Tomas Nido.